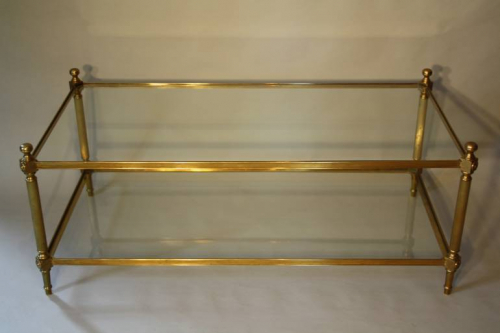 A solid, sturdy, beautifully made and very elegant two tier glass and gilt metal rectangular coffee table. In original condition with little or no aging. Lovely detail to legs and feet. French c1950.